Pope led the way for the 12 Australian representatives at the event that saw 360 drivers from in excess of 60 countries in attendance. 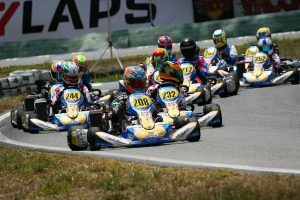 The New South Wales teenager had been one of the pacesetters all throughout the week in the Junior MAX class to secure a front row starting position for the final. After being shuffled back to sixth place in the early laps, Pope fought gallantly throughout the race to claw his way back up the order and close the gap on the race leader. At the fall of the chequered flag he found himself three kart lengths behind the eventual winner in second place. Australia’s other representative in the field, William Seal, ran just outside the top ten for much of the final before eventually being classified 20th. A pair of Australians finished inside the top ten in the DD2 class with Ryan Kennedy claiming sixth, and 20thstarting Damian Ward ninth. Having qualified 44th earlier in the week, Ward was the big mover throughout the field during the event to claim the top ten finish. Ryan Wood, who secured his appearance at the event through the Race of Stars, finished 27th. Goulburn youngster Costa Toparis secured a top five finish in Mini MAX while Josh Hart made it five top ten results for the Australian representatives with a tenth place finish in Senior MAX. Queenslander Ben Jurczak, who had been consistently inside the top ten throughout the heat races, endured a spin mid-race before eventually retiring eight laps from the finish. In the DD2 Master class, Trevor Whitby edged his way forward in the final to claim 17thplace while his countryman Terry Hanly failed to finish after being caught up in a turn two incident. Courtesy of their strong results, the Australian contingent secured the runner-up placing in the Nations Cup. 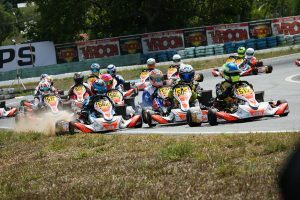 The Rotax MAX Challenge Grand Finals will return to Europe for 2019 with the Sarno circuit in Italy announced as the host during the post race ceremonies in Brazil.